One of the most recognized strengths of Carbon Foam is its thermal and physical properties, as well as unique high temperature properties, making this material idea for thermal protection applications. Carbon Foam can resist melting or softening under extreme heat. In recent years the need for tougher thermal protection systems has risen. 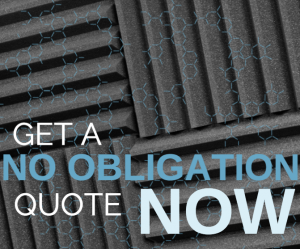 Our mission at CarbonFoam is to provide a variety of designs suitable for thermal protection purposes along with a number of surface coatings. For short durations, Carbon Foam can withstand extremely high temperatures therefore this material can be applied to a number of TPS (Thermal Protection System) designs. The primary function of TPS is to shield the underlying structure from excessive heat. In comparison, carbon and graphite materials have high emissivity, low coefficient of thermal expansion. When properly designed, Carbon Foam can be tailored to effectively shield and carry thermal energy away from numerous areas of a craft.